WEEK #1 | BONFIRE GATHERING --- MARK YOUR CALENDAR! 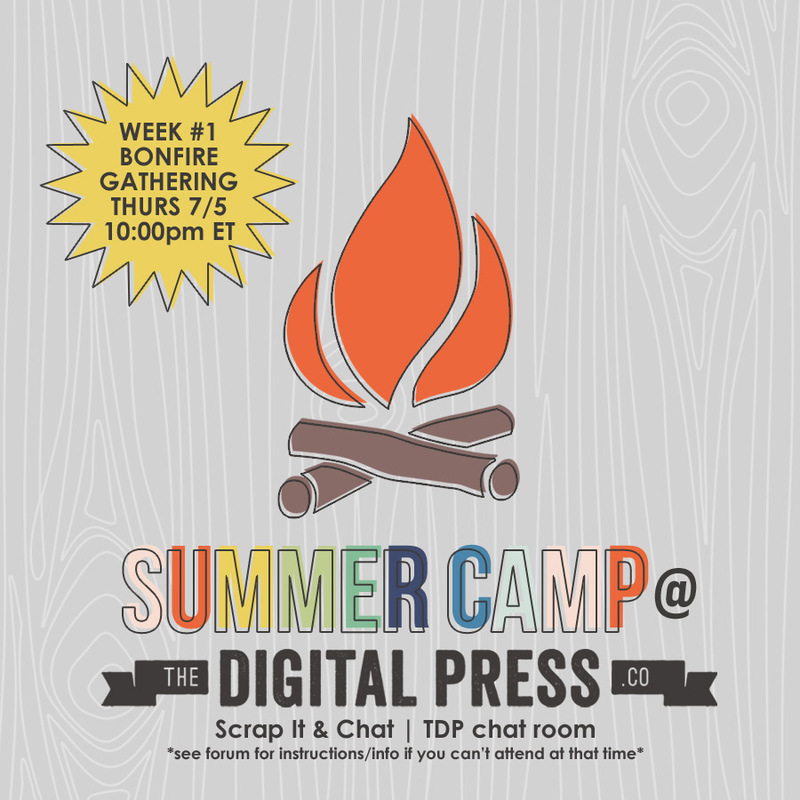 The BONFIRE GATHERING for WEEK #1 of TDP's Summer Camp will be a Scrap It & Chat -- and it will be held on Thursday 7/5 at 10:00pm ET (7:00pm PT). It will be hosted by TDP Designer Laura Passage and TDP Creative Team Member Hillary. It will be a Scrap It & Chat event. Participants will be able to grab the Scrap It | 2018 June Template for this event -- and will have 24 hours after the chat to complete their project. People who simply want to participate in Scrap It | 2018 for this month, but don't want to use this as a SUMMER CAMP activity... may do that, as well. Our next Bonfire Gathering event (WEEK #2) will take place during the mid-afternoon hours (based on ET)... in order to vary the event times and make it possible for more people around the world to attend. Last edited by Laura Passage; 07-01-2018, 11:18 PM. Probably a silly question, but will the people who can't make the chat event still have access to the template to participate? Yes, the template will be available for everyone. So we can grab the template after the chat (it willl be the middle of the night, so sadly I can't make this chat, but hoping to be at the next one!) - and have 24hours to complete the Scrap It June pages? Sounds like fun!! This is the first time for me so where do I go to join in on Thursday? I have it in my calendar and am hoping to hop in! Sounds fun!! Marking my calendar! !